Do you like SpaceSymbols.io? Share it with your friends. SpaceSymbols.io is another fantastic catchy multiplayer game from the popular .io games series. 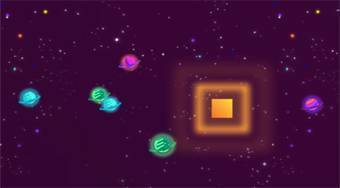 In this game, with your geometric form, move around the universe and collect small asteroids to get more shapes. Change your shape arbitrarily and dispose of other players by changing your shape to be the same as your opponent and then absorbing it.